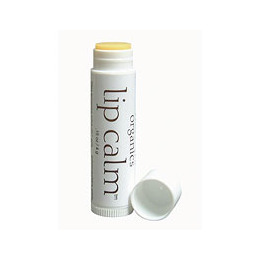 John Masters Organics Lip Calm is perfect for lip protection against cold and wind. Soothing, moisturising and invigorating, the finest organic ingredients are combined in this extraordinarily effective lip balm. Lip Calm has a sweet and light flavour with in invigorating scent. The best thing that`s ever happened to your lips! Made of the finest in organic ingredients, Lip Calm not only protects your lips from weather it rejuvenates your spirit. Apply before lipstick to protect lips. Apply to lips and spread evenly. Apply before sun or skiing or before lipstick to protect lips. Shea butter - moisturising; conditioning. Vanilla - great flavour; uplifting aroma. Lime - antioxidant; great flavour. Tangerine - antioxidant; great flavour. Below are reviews of Lip Calm - Soothing Lip Balm - 4g by bodykind customers. If you have tried this product we'd love to hear what you think so please leave a review.